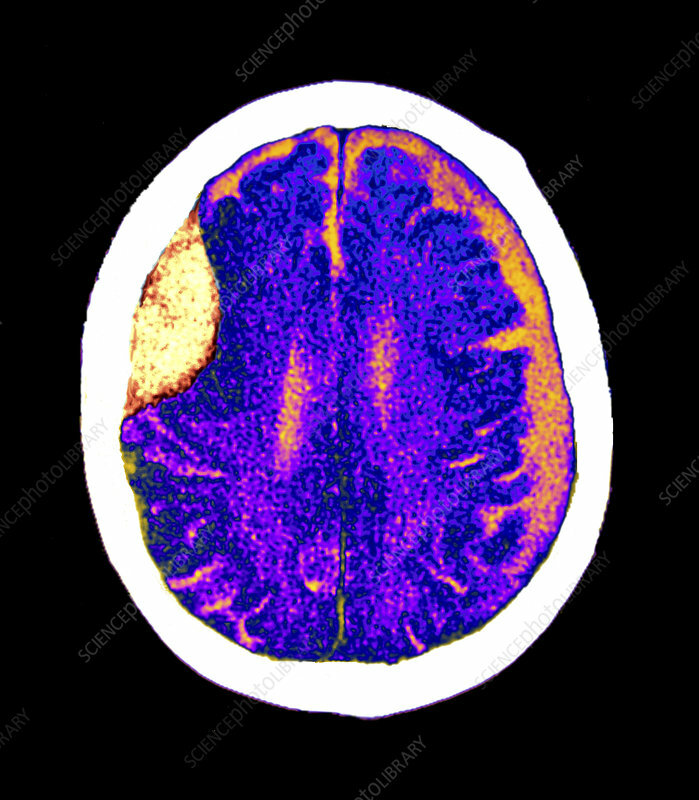 Brain haemorrhage, coloured computed tomography (CT) scan. The front of the brain is at top, and a large mass of blood (haematoma, yellow) is seen at upper left, in the temporofrontal region of the brain. Bleeding (haemorrhage) in the brain may be caused by a head injury, high blood pressure or another vascular disease, amongst other things. The area of the brain supplied by the ruptured artery may die due to lack of oxygenated blood, which is called a stroke. The symptoms of this vary depending on the function of the affected brain area, but typical symptoms range from suddenly slurred speech to paralysis and even death.